There is no way to order full mirrors online without buying less than 5 at a time. What is with that!? 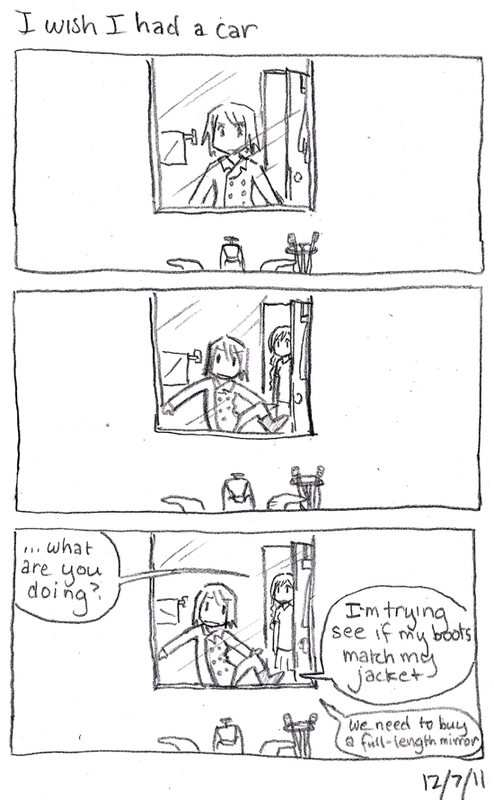 Instead, I have to check how I look by walking back and forth past windows. Jeans match with everything, so theres always that. you should have written that for SS if you haven’t already. lol im pretty sure those are less than $20. but yes, those are a need for a lady!